With 500 million mobile downloads, the award-winning Hungry Shark series dives on console July 17. Sink your teeth into this exclusive deep-sea adventure on PS4, Xbox One, and Nintendo Switch. Control more than 20 different sharks, take on challenging boss battles, explore unique locations, and unlock missions and hidden treasures. Experience an arcade adventure that’s been fully redesigned and optimized for consoles. Feast on everything from tiny tropical fish and crabs to helicopters and gigantic whales. Take on fearsome bosses as you venture into the depths to find trapped sharks, hidden treasure, and more. -Adventure: Spread terror on the ocean by controlling more than 20 different sharks, starting small and progressing to the meanest predator in the sea. 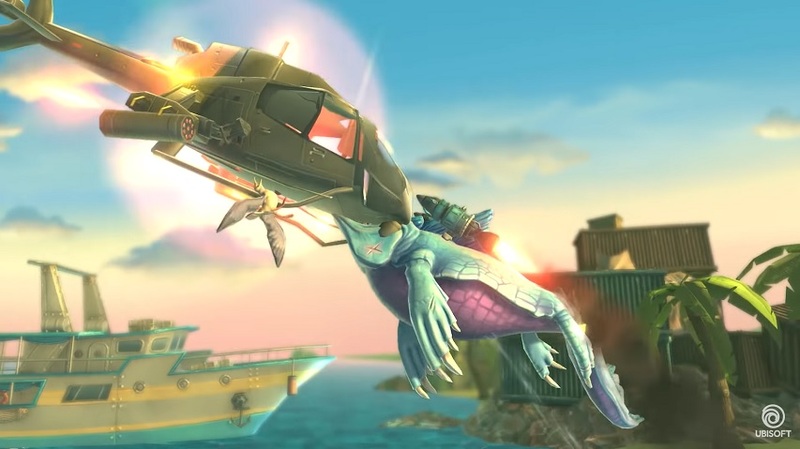 -Boss Battles: Challenges are around every corner – from gruesome goblin sharks to prehistoric monsters and giant submarines. -Missions: Fight man, machine, and beast with more than 250 missions that will put your shark skills to the test. -Explore the Ocean: Venture into the depths to unlock treasures and missions across four unique locations.